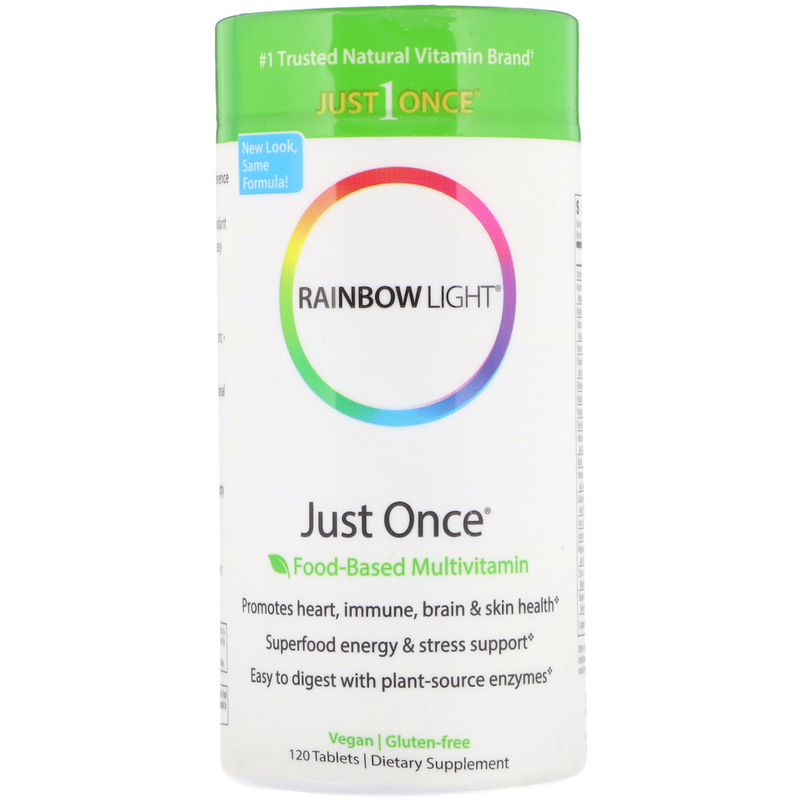 Food-based multivitamin creates a difference you can feel - in just 1 tablet per day. 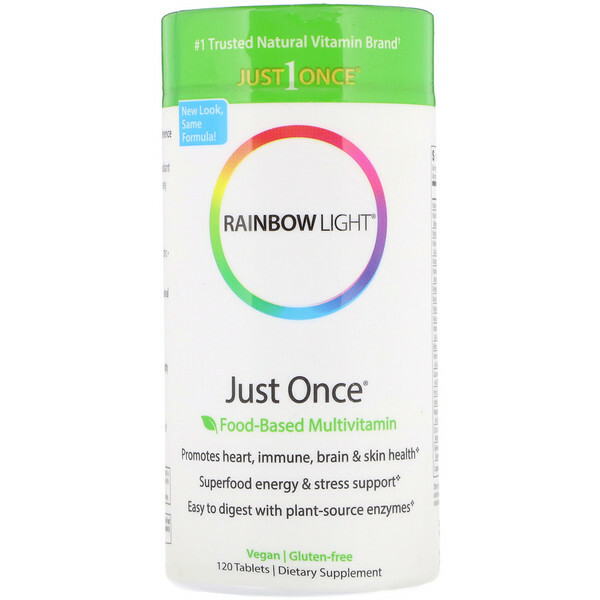 Complete nutritional support and antioxidant protection in a base of whole foods for easy digestion. 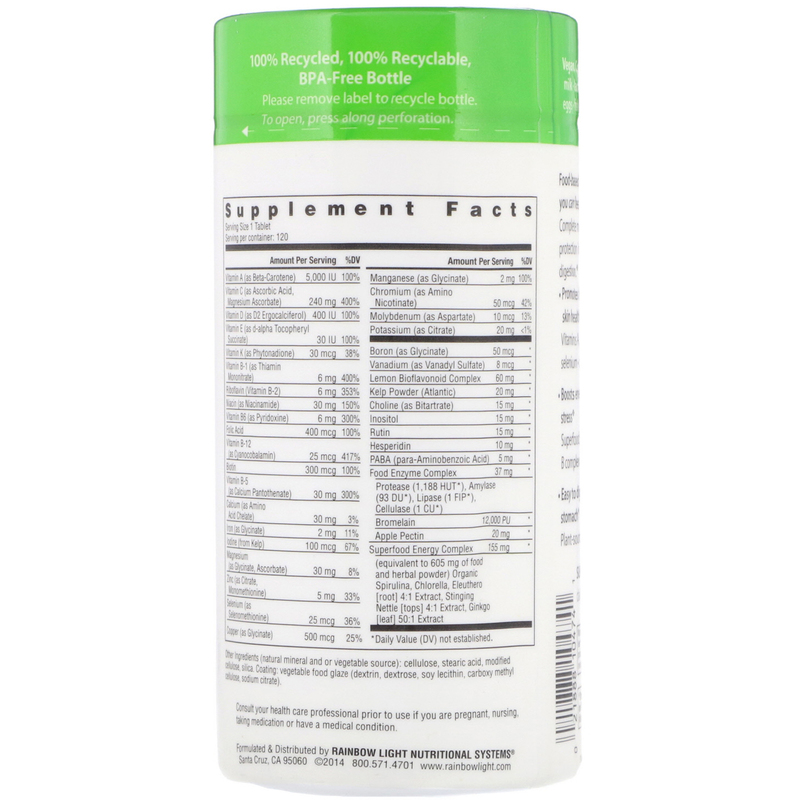 Take 1 tablet daily, with or between meals. (Natural mineral or vegetable source): Cellulose, stearic acid, modified cellulose, silica. Contains no: Gluten • wheat • milk • lactose • tree nuts • peanuts • eggs • fish • shellfish. Accidental overdose of iron-containing products is a key leading cause of fatal poisoning in children under 6. Keep this product out of the reach of children. In case of accidental overdose, call a doctor or poison control center immediately.